(1) Experienced attorneys in title examination licensed in Texas, Pennsylvania, West Virginia, and North Dakota. (2) Texas licensed attorney with 3-5 years experience in Commercial Real Estate acquisitions, leasing, tenant representation, and negotiations. To learn more about career opportunities at Faulk Barchus, contact us at careers@faulkbarchus.com. 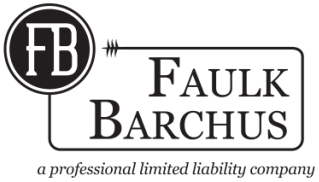 Faulk Barchus, PLLC is an equal opportunity employer.